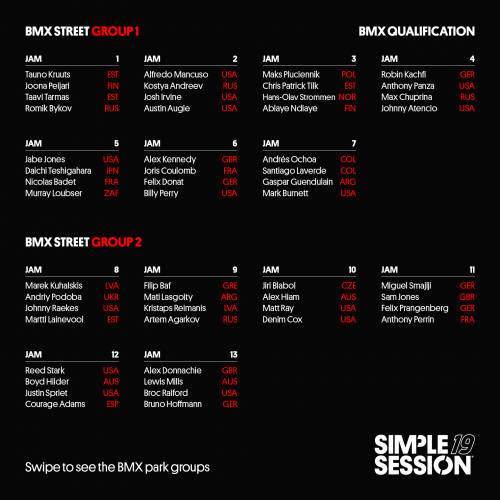 Organised jam format, where riders take turns and keep the same order. Contestants take turns in 8 min jam sessions. Jam groups consist of 4 riders, where each rider gets two 1-minute runs in (no third visits to the course and no last trick!). We will keep the clock tight! Come and watch the Qualifications on Saturday on the 2nd of February to see who will make the cut to the BIG Finals! ← Skateboarding Qualification line-up for Saturday 02.02.